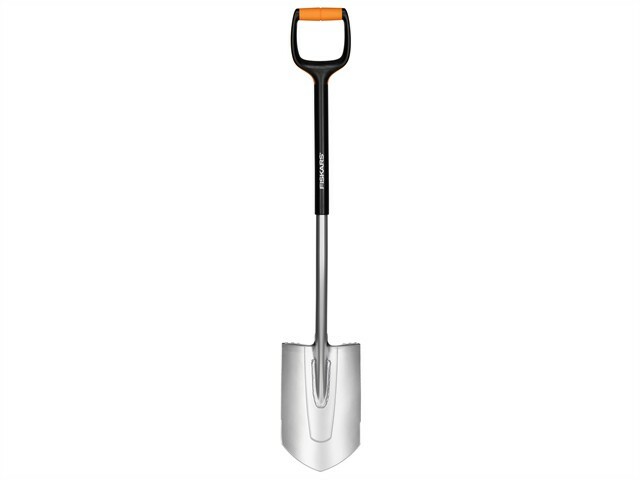 The Fiskars Xact™ Digging Spade has a new innovative head design made of durable boron steel solidly welded to a smart composite and steel shaft for optimised light weight, stiffness and durability. The extra strong, sharp blade with its non slip step board is ideal for penetrating hard soil while its push pull handle gives assured digging control. It features an extra strong, sharp blade and non slip step board for penetrating hard soil. This spade in large size is suitable for taller users to offer an ergonomic fit. Control and comfort is assured thanks to a broad Push-Pull handle. It comes in both large and medium sizes to avoid back strain.